Galaxy S2 Plus on its way to MWC 2012? Update: Industry insider Eldar Murtazin has posted an image of a Samsung handset on his Twitter, with the simple words: "Barcelona. Samsung. Press photo leaked". 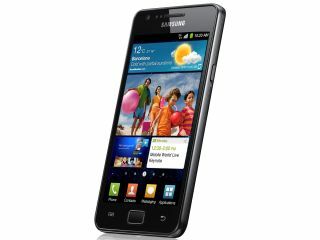 It looks suspicously like the Galaxy S2, but is clearly sporting Ice Cream Sandiwch - could this be the Galaxy S2 Plus?